The ABC Regional Conference offers three preconference workshops on Tuesday, 10 July. Additional rates apply for these sessions. You may register for these when you complete your full conference registration. The UAM corpus tool (O’Donnell, 2008) is a very intuitive software program that can be used to explore the content and linguistic features of texts in a systematic way. The tool can be used to investigate a wide range of aspects of texts, such as for example what topics are addressed, whether the writer expresses a positive or negative opinion about a given subject, or how people and events are represented. In this session, I will give a practical demonstration of how the UAM corpus tool can be used to annotate and analyze texts. The session will be practical and hands-on. We will explore and practice with the main functions of the tool, including how to import text files, create an 'annotation scheme' based on the categories we are interested in, assign category labels to words and expressions, and explore patterns in one or multiple texts. This is Emmet. Emmet follows instruction manuals to build predesigned structures. But when it comes to building something creatively, Emmet struggles. He has to become a 'master builder’ to be able to create without the instructions. So why the story of the Lego movie? Because it's a great analogy to business communication. If we only teach our students to follow instructions to build one, and only one, structure, we are not helping them to communicate creatively in different contexts, to different audiences. 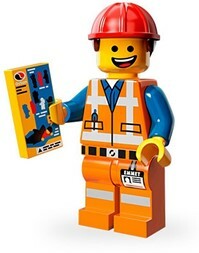 The authors of “Language in Business, Language at work” (https://he.palgrave.com/page/detail/Language-in-Business-Language-at-Work/?K=9780230298422) are running a workshop to show you how to turn students from Emmet into Master Builders! Instead of an instruction manual to the 'best' email, 'best' presentation, 'best' anything, you will learn about what the the lego pieces mean so that you - and your students - can build the best structures ever. Argumentation is a fundamental dimension of business communication and is reflected by a huge variety of genres in which communicators give reasons to justify and obtain adherence to decisions, proposals, evaluations, accounts and other problematic statements. Examples include annual and quarterly reports, change communication, crisis responses, M&A documents, CSR reports, earnings conference calls, etc. Argumentation is simultaneously rhetorical and dialectical. It seeks effectiveness through persuasion and audience adaptation and, at the same time, shows a commitment to a reasonable and critical communicative interaction, for example by avoiding the use of manipulative, deceitful and ultimately unethical communication strategies. The workshop is useful especially for researchers who have no particular familiarity with argumentation theory, and for business communication teachers and trainers who would like to understand the basic principles of argumentation in business and organizational contexts.